I will never get the point of some of these “fashionable trends” that huge designers put out. Alright. So personally I do not really understand this new obsession with Vetements, why you are spending over $300 on a t-shirt that says DHL is beyond my comprehension but whatevs. If you need to have this in your closet, do yourself a favor and please just buy the shirt from DHL, the company directly for like $10. 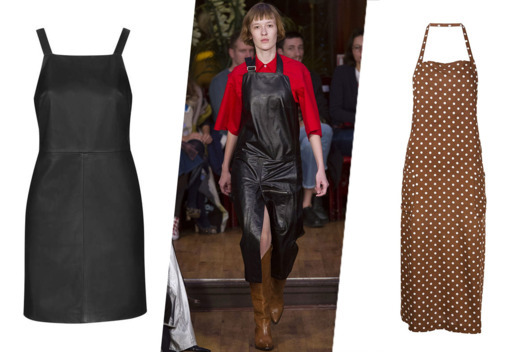 Another “must-have” fashion statement on the runway this year, the apron dress. 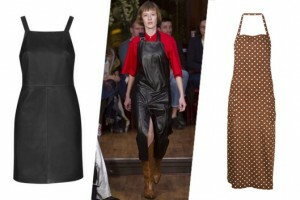 Apparently it’s like super-in to look like your cooking dinner or just got off of work at the salon when you are out and about on the streets. UGH. barf. 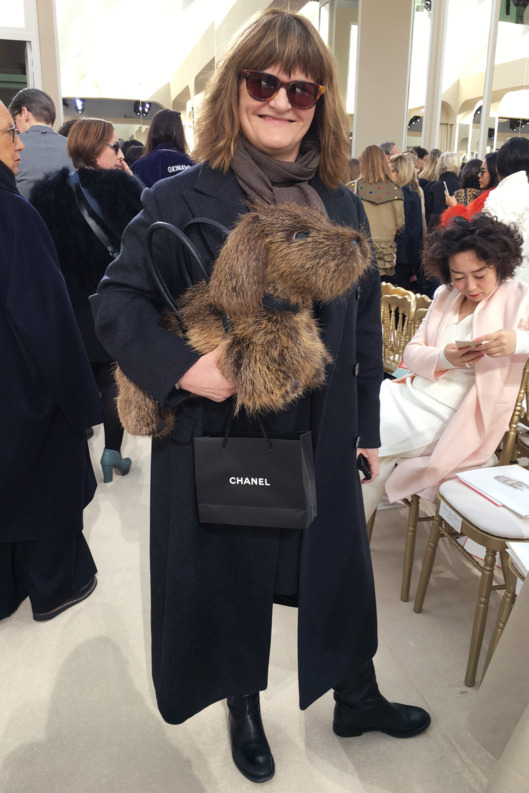 Who needs a real puppy when you can have a puppy-purse? (ME) Whats the point of having a puppy that can cuddle you, do tricks, play catch when you can have a fake puppy shaped purse that can do nothing but hold your makeup? The answer: I have no idea. I love my baby pup and I wouldn’t trade it for this fake pup for the world. I just will never ever get some “high fashion” amazing designers put out. Usually I am a HUGE fan of Dolce and Gabbana, from their bags to their tops one of my favorite designers but I just don’t know what they were thinking with this velvety mess of a dress. So the opposite of #proper. 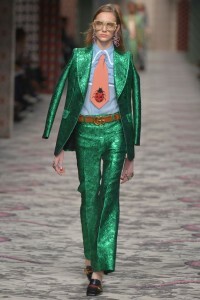 Usually I am a huge fan of bright beautiful colors but these styles from Gucci are just not Cutesy. Oh Prada...what have you done? This is just plain wrong. Wayyyy too many stripes.. I have no idea what kind of earrings this girl is wearing but they look like they are literally about to pull this girl down by the ears! Also, whatever shirt is underneath her stripped jacked so does not go with her ugly ensemble. 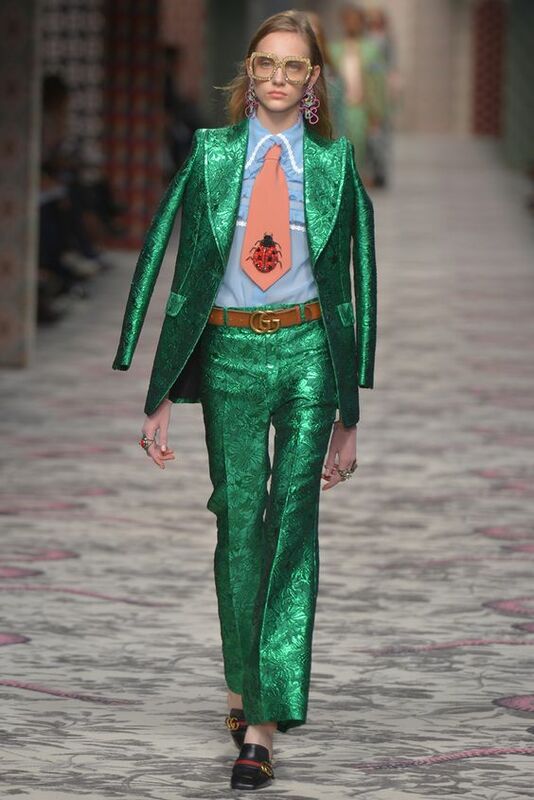 What is the worst designer fashion trend you’ve seen?